if I started masturbating on this subway car? is reading the president’s book. which gives me sad dreams. what elders call having church. money for a country house. holding my hands like that. by the need to annunciate and pronounce. the centerpiece of a parade. years to speak, but I’m not. It’s too late for coffee, or reason, or capability. of the view outside the kitchen window. the other half and I don’t mind it. like something dark and hard is back there. Morgan Parker‘s first collection of poems, Other People’s Comfort Keeps Me Up At Night, was selected by Eileen Myles for The 2013 Gatewood Prize and is forthcoming from Switchback Books. Recent poems are forthcoming from Tin House, The Atlas Review, and Forklift, Ohio. A graduate of NYU’s Creative Writing MFA program and a Cave Canem fellow, Morgan lives in Brooklyn, where she is Education Director at the Museum of Contemporary African Diasporan Arts (MoCADA). She also lives at at www.morgan-parker.com. 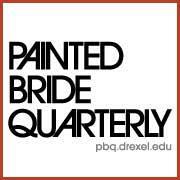 “Epistolary Poem for Reader, Brother, Grandmother, Men (Or, When I Say I Want To Spit You Up)‘ was originally published in Painted Bride Quarterly ‘s Issue 86.